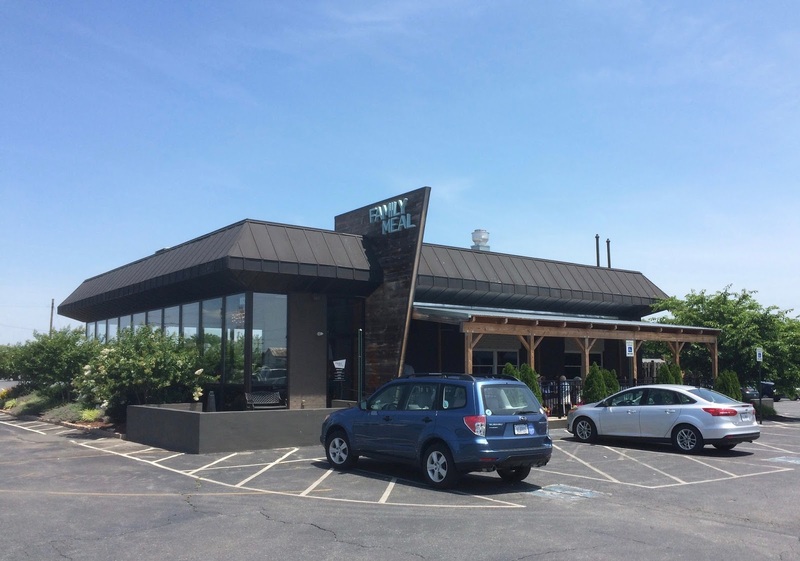 I have a consistent problem when I visit a Bryan Voltaggio restaurant: I find it hard to decide what to eat, since so many of the choices on the menu sound amazing. This was a problem at Volt, his elegant first Frederick restaurant (our 2011 visit was pre-blog, but it inspired this Roasted Beet and Carrot Salad), and even more so at Range, his expansive Friendship Heights, D.C., restaurant, which has a menu with so much variety that I supplemented my first review with a second a few months later. This is a happy problem, of course, best solved by visiting in a group so you can share dishes and sample as many of the kitchen's delights as possible. I was lucky to have not just my husband but also my mother with me when we visited Family Meal, the centerpiece of our day trip to historic Frederick. Family Meal is a striking space, all ale wood, glass and tile. Although it resembles an upscale diner, it was actually converted from a former car dealership (which means there's plenty of parking, however the asphalt desperately needs repair, as some of the potholes are approaching sink-hole size). The vibe is slickly casual, a contrast to the refinement of Volt or the urban cool of Range. The name says it all: it's perfect for family and a great meal. 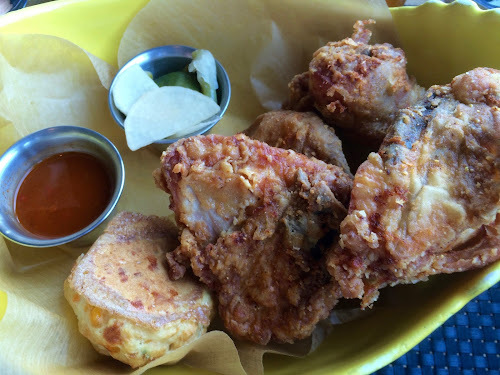 Knowing that Family Meal leans Southern, I knew that fried chicken had to be on the docket. The basket is filled with a generous half chicken (breast, thigh, wing and drumstick) fried with a crispy skin and juicy flesh. It's as good as you'd hope. It arrives with buttery, flaky biscuits flecked with cheese and onion, a puckeringly good ramekin of mixed pickles (cucumber, radish, green bean) and a (fairly mild) hot sauce. 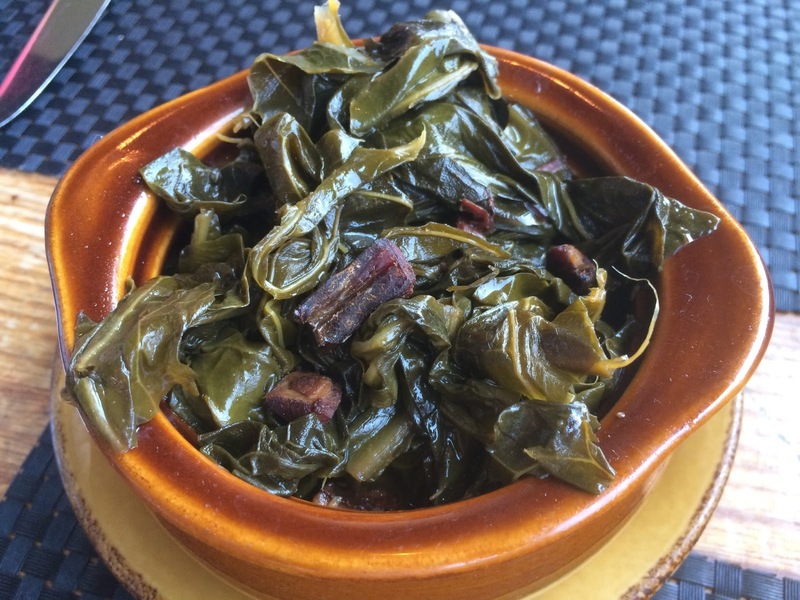 Keeping with the Southern course, I also ordered a side of braised collard greens with bacon, which were incredibly good: tender, flavorful and tangy. If a sandwich is more to your liking, I recommend the pulled pork barbecue with bourbon sauce. The potato bun arrives piled high with tender, smoky pork laced with cabbage slaw. 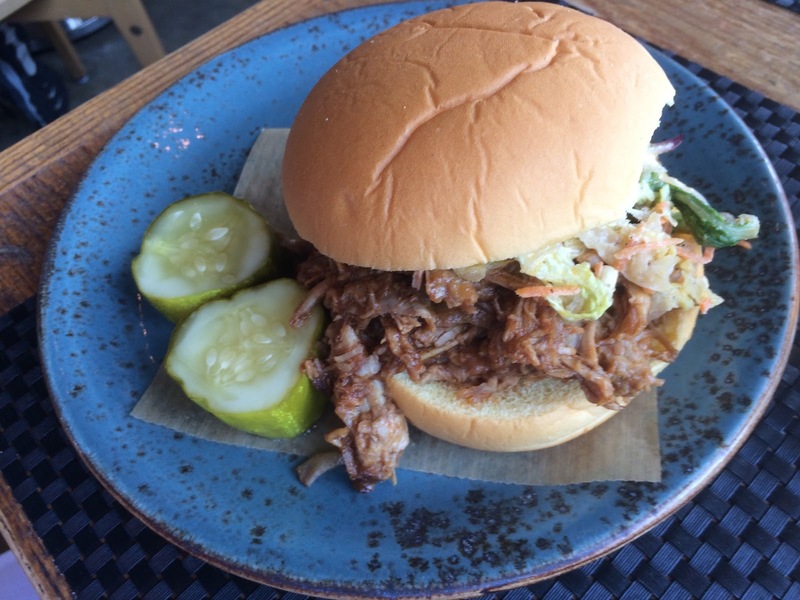 The pulled pork has a nice consistency--not too mushy or sloppy like it can sometimes be. Family Meal's menu is a la carte, so if you want fries with that, it's a separate order. You can spring for standard fries or fried in duck fat. We opted for the latter, which arrived crispy and hot and served with three dipping sauces: a buttermilk ranch, an aioli and a sriracha, which was my favorite. I definitely recommend arriving at Family Meal hungry, but if for some reason you're not up for a big meal, creamy tomato soup hits the spot. The soup is thick and savory and not too salty. 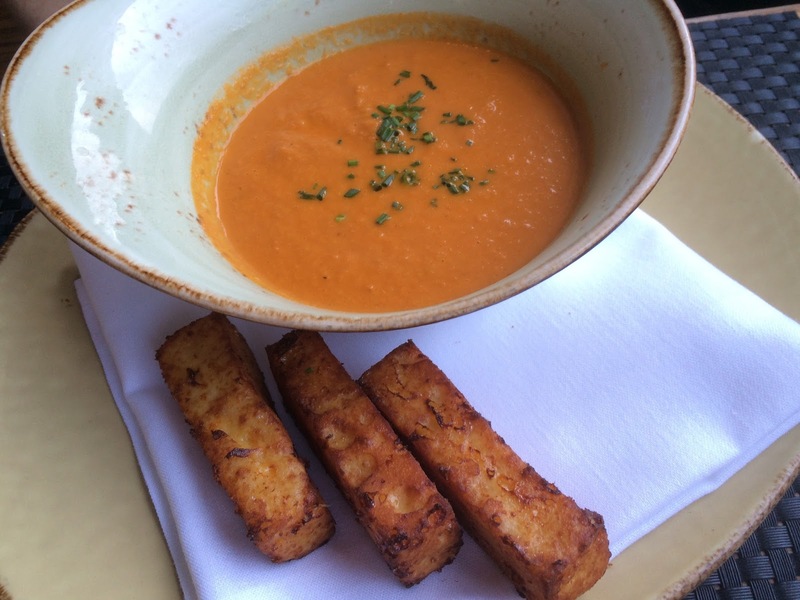 It comes with a side of fried cheddar-brioche sticks, perfect for dipping in the soup. But if you do arrive hungry, as I recommend, you'll probably also want to spring for dessert. 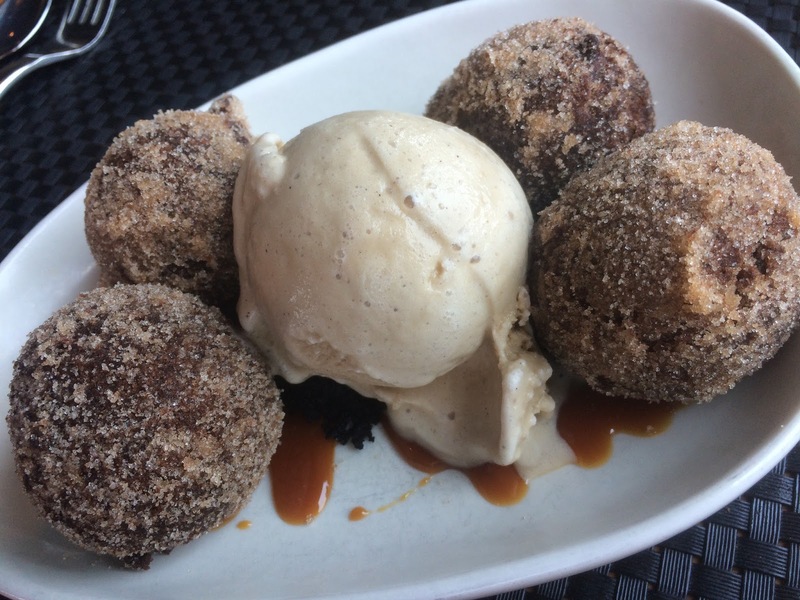 We ordered the chocolate doughnuts, which arrived piping hot and crusted with sugar. They were also served with a wonderful coffee ice cream. The only thing that didn't work was the caramel sauce: it was tasty, but too thick, forming a sticky coating on the plate rather than an integrated part of the dish. A minor gripe for an otherwise very good meal. Service at Family Meal was friendly and efficient; however, those who are noise-sensitive should be aware that the restaurant's hard surfaces make for a rather loud environment. But when it comes to the food, I can't complaint at all. Family Meal delivers a delicious experience whether enjoyed with family, friends or solo. 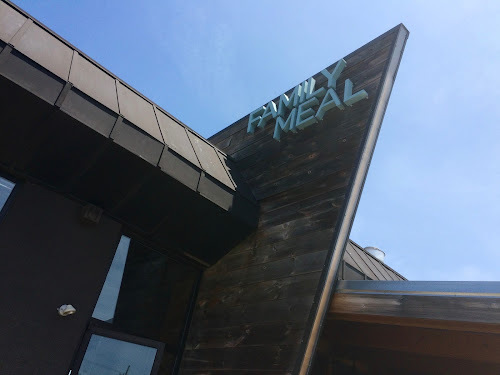 Family Meal, 882 North East Street, Frederick, Md. (301) 378-2895. Reservations: Open Table.